Apple today released the first beta of an upcoming iOS 9.3.3 update for public beta testers, one day after seeding the first iOS 9.3.3 beta to developers. iOS 9.3.3 comes one week after the release of iOS 9.3.2, an update focusing primarily on bug fixes. Beta testers who have signed up for Apple's beta testing program will receive the iOS 9.3.3 update over-the-air after installing the proper certificate on their iOS device. Those who want to be a part of Apple's beta testing program can sign up to participate through the beta testing website, which gives users access to both iOS and OS X betas. As another minor 9.x.x update, iOS 9.3.3 appears to include mainly under-the-hood bug fixes and performance improvements to address issues that have been discovered since the release of iOS 9.3.2. iOS 9.3.3 is not yet available for the 9.7-inch iPad Pro due to an iOS 9.3.2 issue that has caused some 9.7-inch iPad Pro devices to be bricked. 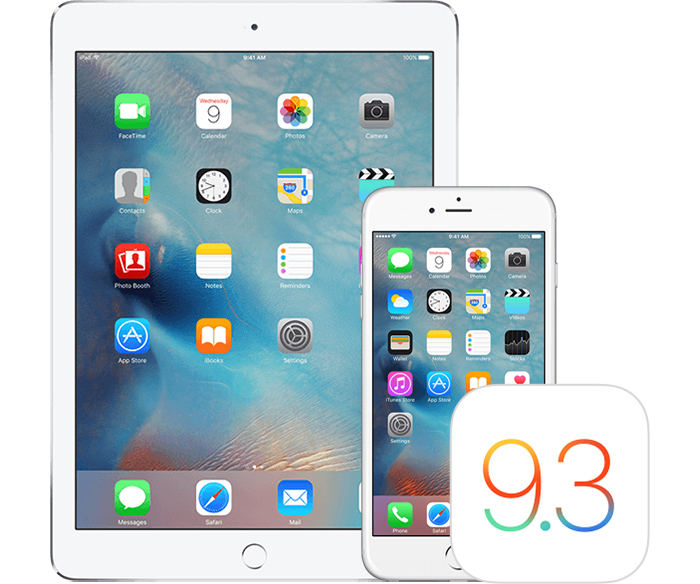 No outward-facing changes or immediately apparent bug fixes were discovered in the first developer beta of iOS 9.3.3.
and...what happened after they pulled out 9.3.2? Maybe they learnt to use proper protection instead of relying on the pull out method for 9.3.3. Cook said this update is very stable. Don't worry just install it the first time it comes out. I can't help but wonder if all the A-players at Apple are busy with iOS 10, causing these "bug fix" updates to replace bugs with more bugs. The only "bug" I have experienced with this beta, is a lag in almost every program. Yes, not having an update for a few days means it's never coming. My battery is dead and its just passed noon. Wow, how do I downgrade?